Cut the word “diet” out of your vocabulary! A diet is a temporary restriction on certain foods for the purpose of working toward a measurable goal. Weight is not the only determining factor of health, and healthy, nutritious eating habits are important for growth and wellness. Food is essential to life, and food is the fuel that propels us forward. However, it is nutrition that supports our bodies and helps us reach health and wellness. A properly balanced diet nourishes our bodies and provides the fuel we need to reach our fitness goals without feeling deprived or hungry. 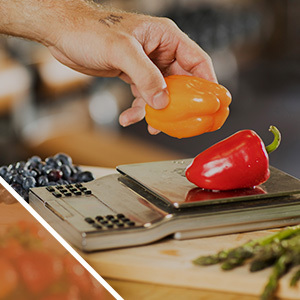 With so much information floating around about what is healthy and what is bad for you, we thought we would take a minute to discuss what nutrition coaching is and how it can benefit you. Nutrition is the science of how the interaction of nutrients and other substances of food affects the maintenance, growth, and health of a person. The study of nutrition includes consumption, absorption, biosynthesis, and excretion of nutrients. Nutrition is so important because it contributes to the overall health and wellness of a person. Food provides us with all of the energy, protein, fats, and vitamins and minerals that our bodies require to function. Food and nutrition are powerful enough to prevent and fight disease ,as well as fuel you to excellent physical fitness. Health coaching is the process of uncovering your relationship with food, identifying your beliefs and habits about food, and creating a healthy, realistic nutrition plan to help promote health and wellness. Unfortunately, creating an effective nutrition plan requires a lot more than simply creating a healthy meal plan. It begins with discovering the “why” you eat the way you do and prefer the things you do. Sometimes, it is as simple as educating yourself about unhealthy choices that you thought were healthy. And, sometimes, it’s much deeper, such as identifying the effects of family tradition, culture, or poor relationships with food — eating disorders, stress eating, poor impulse control. Good nutrition coaches will identify your current strengths and weaknesses and make small, realistic changes to encourage you on a healthier path. Follow-up sessions should focus on evaluating and adjusting goals to continue to launch you forward. The simple answer is — everyone! Everyone could use an honest evaluation of their eating habits and beliefs. Whether it results in modifications or not is a completely different story. At different times in our lives, we will adopt different nutritional statuses and make modifications based on certain life events. For instance, dieting to lose 10 pounds before your wedding, adjusting what you eat while you are pregnant, restricting your diet for Lent or a surgical procedure, or fueling for an Ironman race are all examples of short-term changes that won’t significantly affect your overall nutrition habits. Discovering why you eat what you eat, and whether it is the most nutritious option, is a great idea for everyone to partake in! Those who struggle with healthy eating, who are emotional eaters, who struggle controlling their intake, or who are training for a specific event are the ideal nutrition coaching clients. At Forge Rx, our nutrition coaches love helping everyone who is interested in our nutrition coaching services, whether you are a new dad trying to set a good example for your kids, a performance athlete looking to fuel your training, a bodybuilder looking to bulk or cut, obese and looking to change your life, or a mom-to-be just trying to make it through. Our nutrition coaches will evaluate your current nutrition status and help you develop a realistic plan that fits your lifestyle and goals. We follow-up with you regularly, and you’ll have unlimited access to us for support, encouragement, and to answer your questions. You’ll have access to out nutrition page that can act as a support group and delicious recipe book! Our nutrition coaches are invested in your journey and can’t wait to help get you started on your path, whatever it may be. A healthy, nutritious diet is so much more than eating healthy foods to reach a certain weight goal. Healthy eating habits and nutrition are important for your health and wellness, disease prevention, sleep quality, mood and energy levels, and overall wellness. 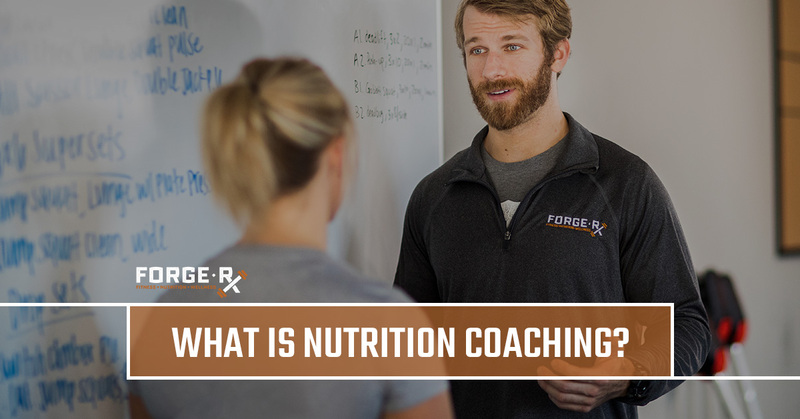 No matter your current status or your goals, at Forge Rx, our nutrition coaches want to help you get there. Your journey starts here, call or stop by today!